If you have been injured at work you need to call us! Trimble & Grant, PLLC handles all types of work injury cases. Our practice areas include all types of injury cases, including: Workers’ Compensation, Non-Subscriber, ERISA, Social Security, Disability, work-place third-party claims or auto and 18-wheeler accident injuries. We also handle admiralty and maritime claims for workers who are hurt while working offshore or on a vessel. We have friendly staff members and attorneys that are ready to help. The firm has been conveniently located in the historic Houston Heights since 1999. 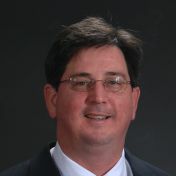 Larry Trimble is Board Certified by the Texas Board of Legal Specialization. Se Habla Español. Why Trimble & Grant, PLLC? Heart and Experience. We care about our clients. Everyone at Trimble & Grant, PLLC has extensive experience assisting injured workers or victims of auto/18-wheeler, or work-place accidents. We’re down-to-earth, so you can be comfortable talking to us. All of our legal assistants are bilingual. Our knowledge and experience are the result of our focus on injured workers and their families. This website is intended to be a resource to help you understand the legal process and to make informed decisions regarding your case. There is a large amount of information here, and much of it can be daunting. If at any time you get confused or are uncertain about how to proceed with your case, please feel free to contact us at no charge for a FREE CONSULTATION. We are here to help you. Our firm represents personal injury clients in auto accident, medical negligence and wrongful death cases. Employees who suffer an injury at work, or contract a job-related injury, are typically interested in two things – feeling better and returning to work. Large employers that do not have workers’ compensation usually provide an Occupational Injury Plan which is governed by a Federal Law called Employee Retirement Income Security Act (ERISA). Offshore maritime workers along the Gulf Coast provide some of the most important job functions not only to the region, but for the nation as a whole. Disability is something most people do not like to think about. But the chances that you will become disabled are greater than you realize. Trimble & Grant, PLLC handle commercial litigation for businesses involved in a wide range of disputes. If you own any property or have minor children you need a will. Many people believe that unless you have substantial assets you don’t need to worry about having a will.